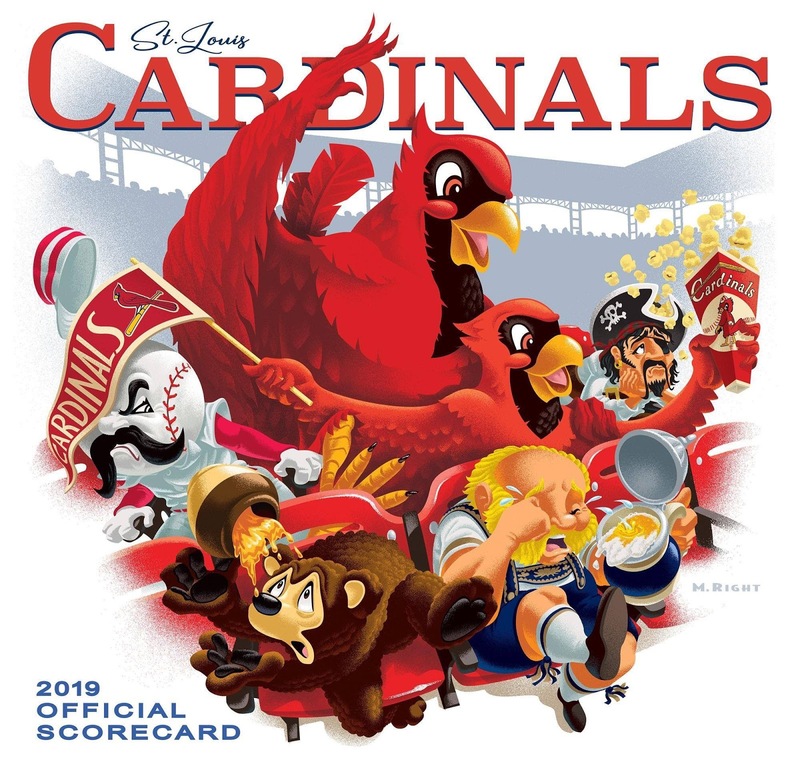 This is the cover art for this year's scorecards at Busch Stadium. We have a couple of obnoxious Cardinal fans, a-whooping and a-hollering and flat out not caring if they bump into (or spill concessions on) the people around them. Odd thing to be proud of, but you do you, St. Louis. The art itself is stunning, a luscious retro style. 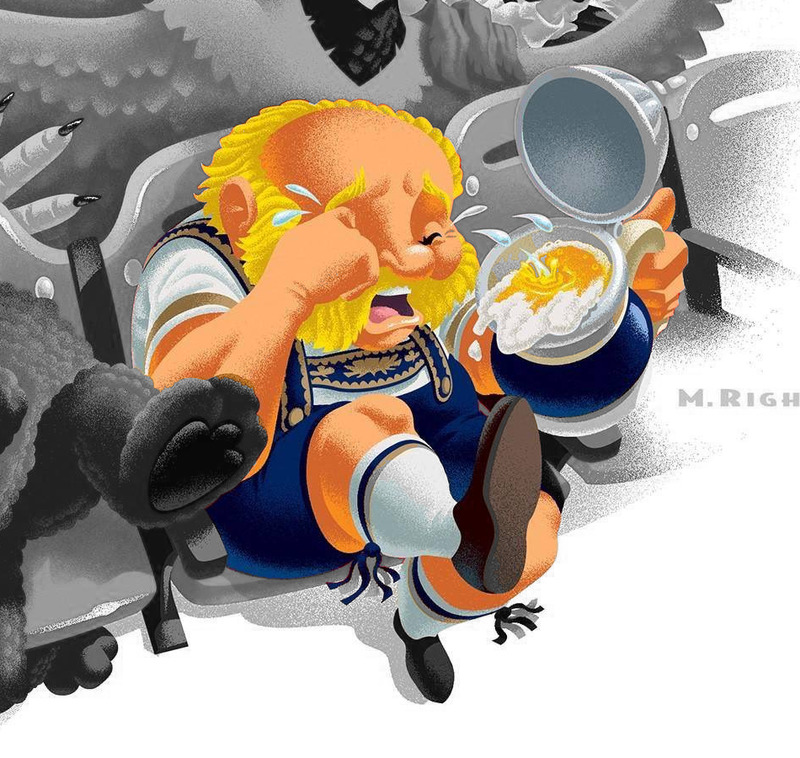 And right there in the front row is our very own Bernie Brewer, literally crying in his beer. I had no idea Bernie was bald! No wonder he always wears a baseball cap. And heck, I only wish Bernie still wore lederhosen. Never liked the baseball uniform he's been sporting since Miller Park opened. Ironic that the Cardinals created a better version of Bernie Brewer than the Brewers have used for decades.